Day 1: is for travel. We meet at the airport in Mexico City, flying in around noon, and take a bus to Puebla where the LAKS van is waiting to drive us down to Aventurec in Tlapacoyan, Veracruz. Day 2: Warm up day a nearby class III part of the Filo-Bobos, Encanto – Pamilla, similar in difficulty to the Lower Yough. Day 3: 12 juicy miles of the Filo-Bobos, from Zapotitlan to Puente Filo. Day 4: Student choice between a more leisurely day going by the Gulf Coast beaches, or a more challenging day on a waterfalls section of the Alseseca. We spend the night in a hotel in the city of Coatepec. Day 5 & 6: Two days on the Barranca Grande, camping along the river. 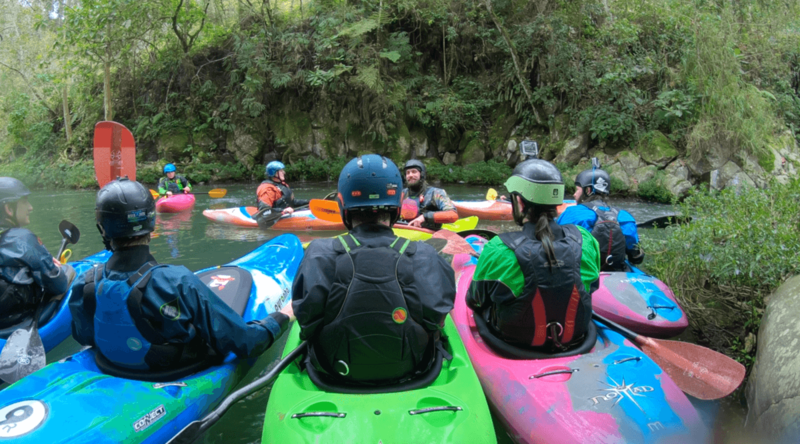 This is THE Mexico kayak experience! 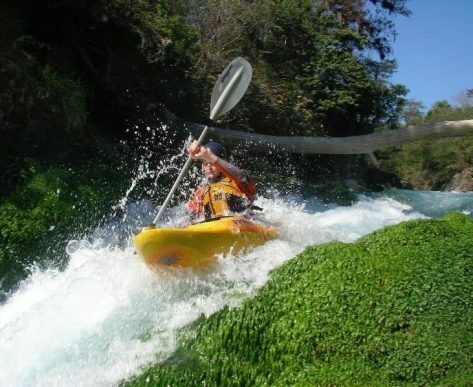 During six straight days of river running, you will see myriad rivers that Veracruz has to offer- tumbling boulder-gardens, steep creeks, and turquoise-blue waters flowing right out of the mountainside. 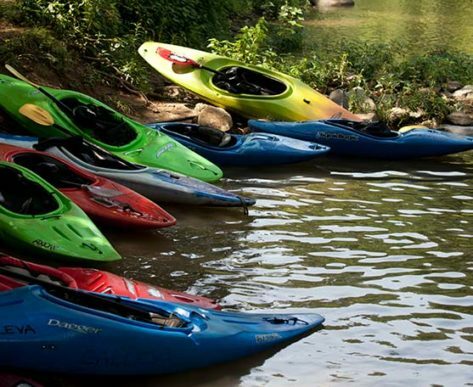 The focus will be on improving your boat handling and challenging your abilities in miles of rapids. We will spend the days scouting rapids, practicing boofs and rock slides, and surfing every feature we can! The rivers vary in difficulty, mostly Class III+ with some opportunity for Class IV. 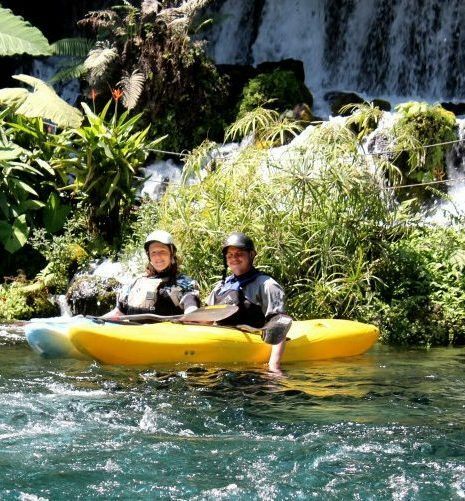 This trip includes an overnight on the Barranca Grande, a beautiful river with steep canyon walls and lots of twists and turns. Our overnight gear and food is brought to the river by burros and we spend the night camping alongside the river. Other nights are spent at eco-resorts, where we sleep in cabins among fruit trees. There is an option one day to run the steep creeky drops of the roadside section of the Alseseca one day or have an easier day surfing in the Gulf of Mexico. Our last day is spent on the Rio Actopan. This beautiful little river gushes out the side of a hill through reeds and bushes in a clear, class III stream of aqua-blue water. The last night is spent in an historic hotel in downtown Puebla. We breakfast early the next morning and then head back to Mexico City to catch a flight home. Homemade Mexican food, good company, and always an unexpected adventure round out this amazing week exploring the Deep Canyons of Veracruz!